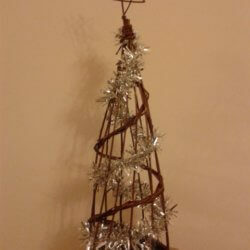 Traditional Welsh Cyntell available to order. 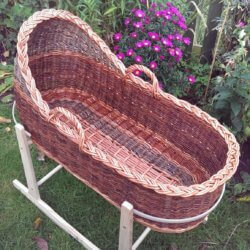 Can be used as a log basket, toy basket or washing basket. 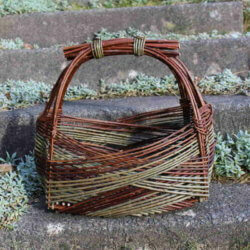 This is a traditional Welsh Cyntell which was used as an agricultural basket. 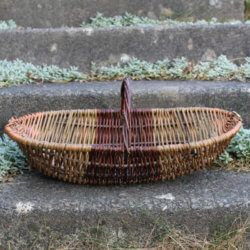 It could be used as a log basket, toy basket or perhaps a washing basket. 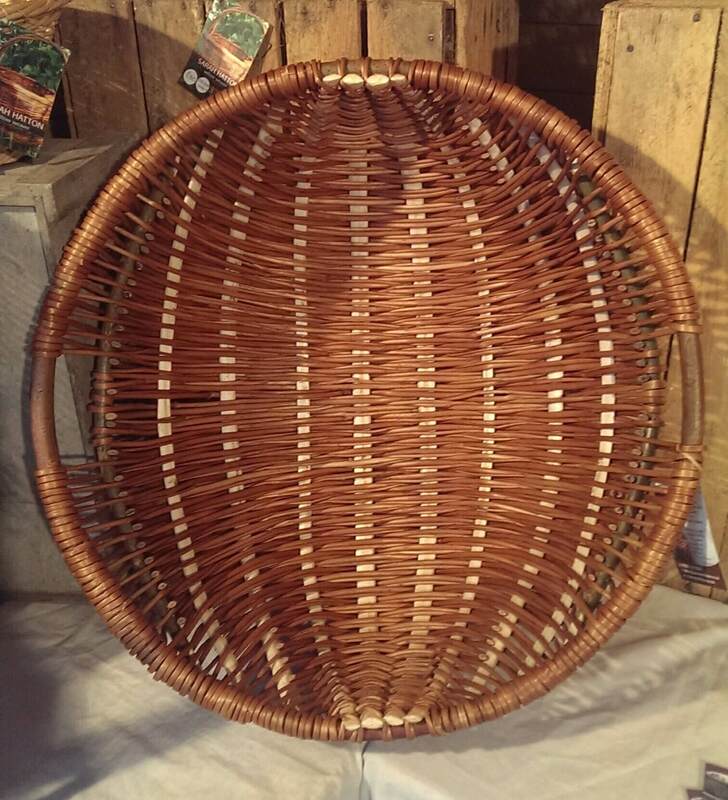 The ribs of the basket are made by splitting a thicker piece of willow in half and shaving it down and drying on a frame along with the hoop of the basket. We have three size options 18″, 20″ and 22″. If you would like specific colours please let us know. 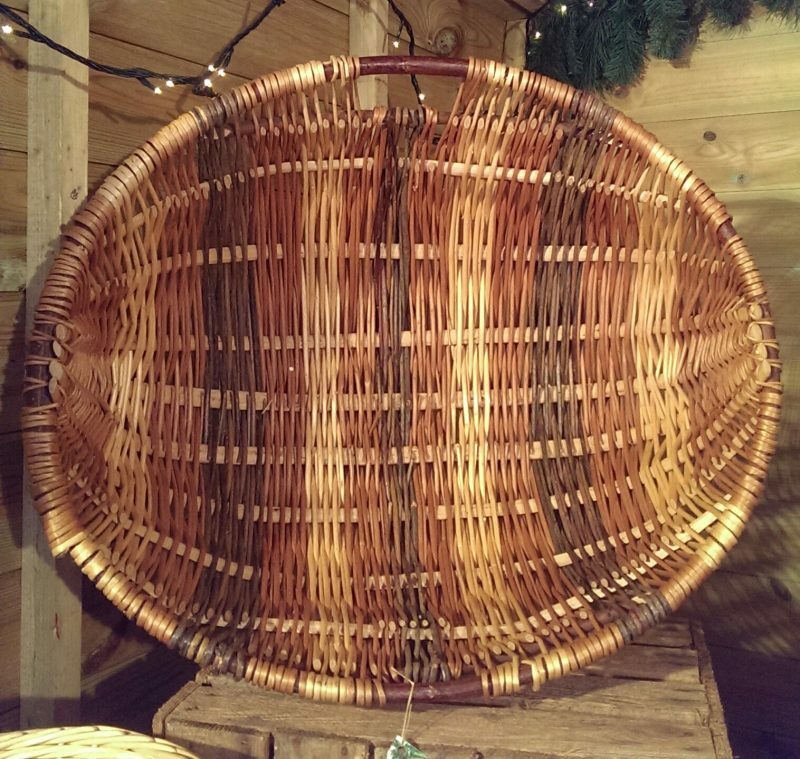 These baskets can be ordered but may take a maximum of 3 months to produce. Please ask us how long we estimate the basket would take using the contact form.